With all the debacle surrounding the #BoycottIndiana debate the above quote from The Fresh Exchange definitely hit home with me when I read it earlier this week. In this day and age it’s SO easy to get wrapped up in this, that, or the other thing, and let it negatively impact us. 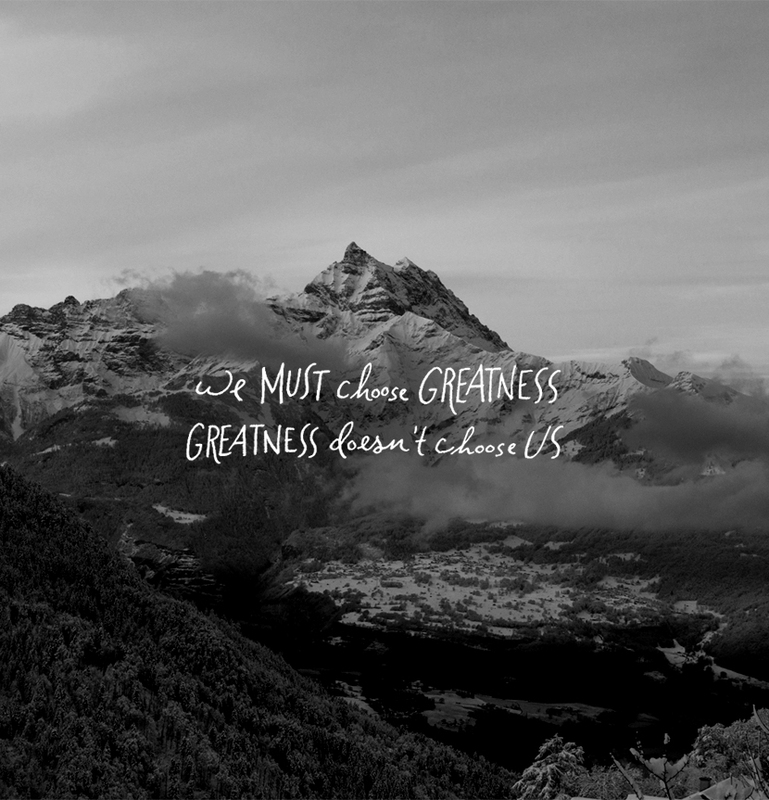 But it’s just as easy to make the decision to rise above and choose greatness. I may not always agree with everyone on everything, but at the end of the day it’s not about who’s right or wrong, it’s about treating all as equals. If you follow me on Twitter you’ve probably seen some colorful commentary coming my way from some faceless trolls, and I have to say that quoting the Declaration of Independence has become my new favorite comeback (besides GIFs of course). This BuzzFeed list of 21 questions that gay people have for straight people is right on the money. I’d have to say that #1 is my favorite, closely followed by #19. What about y’all? Now I’m going to digress for a moment, but I’ve just got to say that the amount of backlash that Memories Pizza has received from their stance on the RFRA decision in Indiana is quite funny – from their Yelp! page to their new website. Note: I do NOT condone bullying, threatening, or intimidating of others. I do however think that there are consequences for every CHOICE that individuals do make. Lord knows that I wouldn’t be here without the help of my friends, most of which are straight (or have been up until now), but as much as they love and support me they’ll never fully understand what it is to be queer. Everyday Feminism did an incredible job of showcasing 10 examples of straight privilege, and I think it’s something that everyone should read – especially in light of the current state of our country. Do me, yourself, and any gay friend that may have a favor and take 20 minutes out of your day to watch this video. Because like Panti I am fed up putting, so I’m not anymore, and like her I’ve never held hands with a partner in public without a thought in the back of my head of fear. On a more positive note this daughter of two moms started a campaign to buy all tickets that were sold by season ticket holders when the Oakland A’s announced they would have a LGBT night. All money raised from the sold tickets will be donated to Bay Area Youth Center’s Our Space Community for LGBT Youth. You can help out the cause via their GoFundMe page. Now onto to less serious topics, like how much I hate (love) Beau from Probably Baking for sharing his recipe for Lemon + Cracked Pepper Pound Cake. If you’ve followed along for any time at all you’d know that I love wide, open white spaces (specially kitchens) Damsel in Dior’s 5 Secrets To Scandinavian Style gave me a long list of new reasons to love these kinds of spaces. Speaking of homes The Blonde Salad’s LA House is literally to die for. All of these beds that west elm rounded up make me a little envious, but then again if I lived in any of these rooms I’d probably never leave my bed. Last but not least in regards to homes, as if we needed any more reason to love Emily Henderson she’s updating/rebuilding a family shelter that was lost in a fire. In other words, she’s a gem. Blair’s trip to Seattle makes me want to check out the city for myself. From the looks of it they’ve got a seriously drool-worthy food + drink scene. ALSO, Take your food photos to the next level with these helpful tips from Blair’s latest project Wandeleur. Until then I’ll just celebrate the fact that it’s Spring, which means it’s time for iced coffee again, and thanks to My Style Vita I know how to make my own at home now. While we’re on the topic of Spring finally being here DETAILS has asked some of their Style Syndicate members to share their favorite things about this time of year on social media by using #MyDetails. Join the conversation when you upload your favorites and use the #MyDetails hashtag then see your images on Details.com. The Style Syndicate has afforded me some great opportunities like connecting with The Modest Man, and this week he shared how he makes money with his blog. Which is a great read if you’re wondering A) how I live or B) how to make money with your blog. Lastly, brighten up your Instagram feed with these #MakeYouSmileStyle faves from Bright Bazaar.